America can take pride from these pages of history. 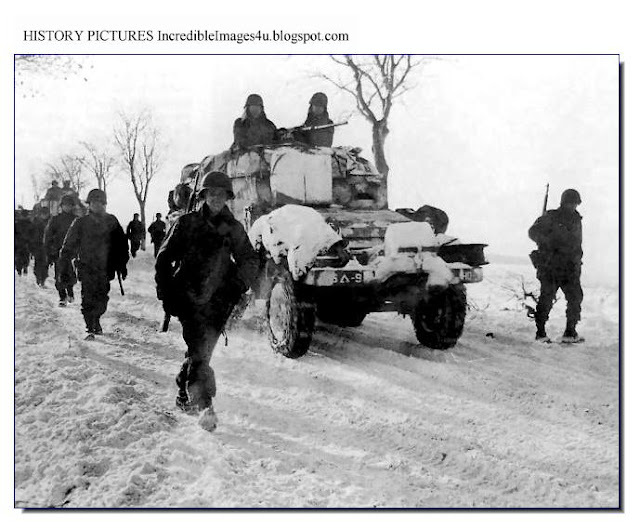 In the cold wintry second half of December, 1944, men of the 101st Airborne Division kept at bay numerically far superior German forces which had surrounded Bastogne for a week. The American soldiers fought with raw courage and determination. This should dispel any doubts many harbor that American soldiers were of a lesser calibre than the men of the Wehrmacht. WHAT WAS THE ARDENNES OFFENSIVE? 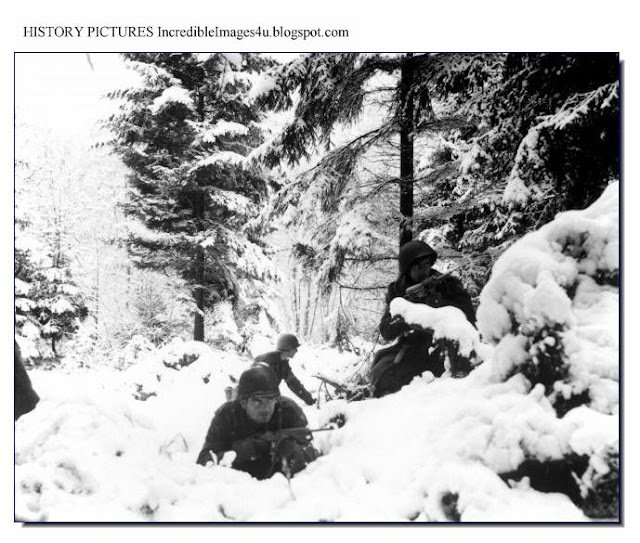 Battle of the Bulge, popular name in World War II for the German counterattack in the Ardennes, Dec., 1944–Jan., 1945. It is also known as the Battle of the Ardennes. On Dec. 16, 1944, a strong German force, commanded by Marshal von Rundstedt, broke the thinly held American front in the Belgian Ardennes sector. Taking advantage of the foggy weather and of the total surprise of the Allies, the Germans penetrated deep into Belgium, creating a dent, or "bulge," in the Allied lines and threatening to break through to the N Belgian plain and seize Antwerp. 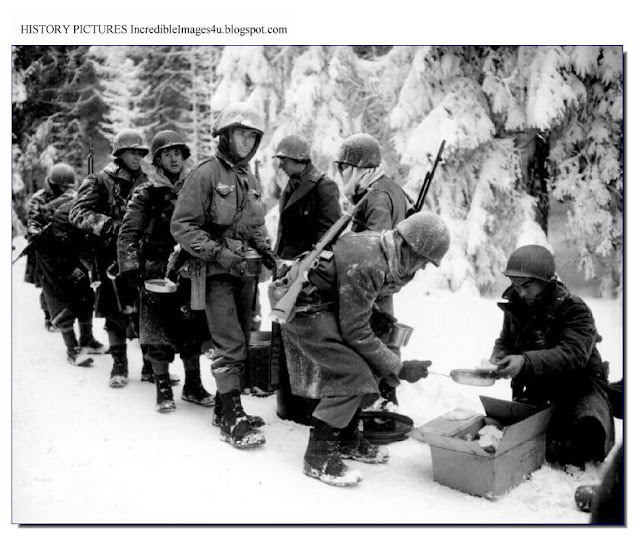 An American force held out at Bastogne, even though surrounded and outnumbered. The U.S. 1st and 9th armies, temporarily under Field Marshal Montgomery, attacked the German salient from the north, while the U.S. 3d Army attacked it from the south. Improved flying weather (after Dec. 24) facilitated Allied counterattacks. 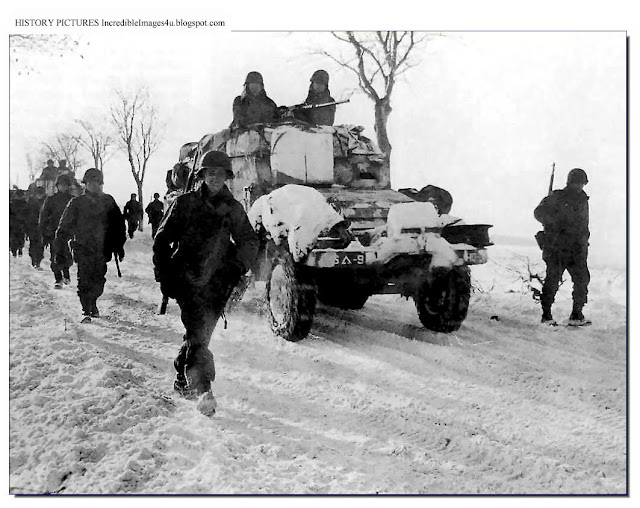 By Jan. 16, 1945, the German forces were destroyed or routed, but not without some 77,000 Allied casualties. Optimism was absent from the German command. In September 1944, as the Russians halted their advance on Warsaw and the Allies stalled in Holland in Operation Market-Garden, Hitler stunned his generals with a bold plan reminiscent of the 1940 campaign. Panzer divisions backed by Volksturm units would smash through the weakly defended Ardennes and head for Antwerp, cutting off the Allied supply lines. Special English-speaking units in modified German armor and captured American equipment would range out ahead of the Panzers, causing confusion and creating fear among the ranks.The bold plan included a large, desperate attack by the remaining Luftwaffe units on the Allied airfields. His generals demurred, arguing the attack would never succeed. Hitler overruled them. A buildup in Germany’s Eiffel region began, draining tanks and men from other fronts. Most of these soldiers were fifteen and sixteen years old. Meanwhile, the Allies ignored the warnings of the German buildup. An intelligence officer than claimed a coming German offensive would start in the Ardennes was sent on leave. Reports of the few divisions in the area that new units were entering the area were discounted. Ultra reports were less important because the Germans used landlines instead of radios to issue orders. German prisoners-of-war were radiating confidence and did not seem to be beaten. A German APC vehicle moves. In the background is the ruin of a M 10 American tank. The Americans had only a few divisions, including the 106th division, in the Ardennes guarding a fifty-mile front. The area was used to rest and refit divisions coming off the line, or to organize new units. The Germans poured fourteen infantry divisions and five Panzer divisions into this front, smashing the new 106th division out of existence. 7,500 men surrendered in the largest American mass surrender in the European Theatre of Operations. The Germans raced for Antwerp, led by a SS armored column under the command of SS Gruppenführer Joachim Peiper. Peiper’s tanks had to capture gas from the Americans as they went. 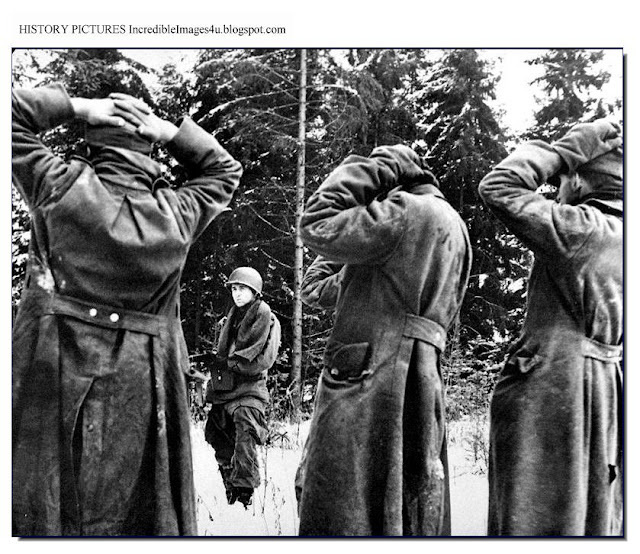 On December 17, Peiper ordered the execution of hundreds of Americans captured by his column. He also massacred Belgian civilians in the town of Stavelot. Meanwhile, Americans all over the battlefield were showing incredible courage. Sometimes outnumbered five-to-one, infantry units stopped or held up the German advance. Many others broke ranks and fled, leading to the only execution for desertion in World War II by the United States Army. Private Eddie D. Slovik was found guilty and executed in a controversial decision after refusing to fight. Montgomery took full credit for saving the American armies during the battle, and insinuated that he had “handled” the battle. He also managed to knock American leadership. Bradley, Eisenhower, and Patton were furious. Churchill had to make a public statement to the House of Commons to calm things down praising the Americans for the their conduct in the battle. It was an American battle. The largest battle in the West during the war, some 600,000 Americans fought it, and 80,000 were killed, captured, or wounded. 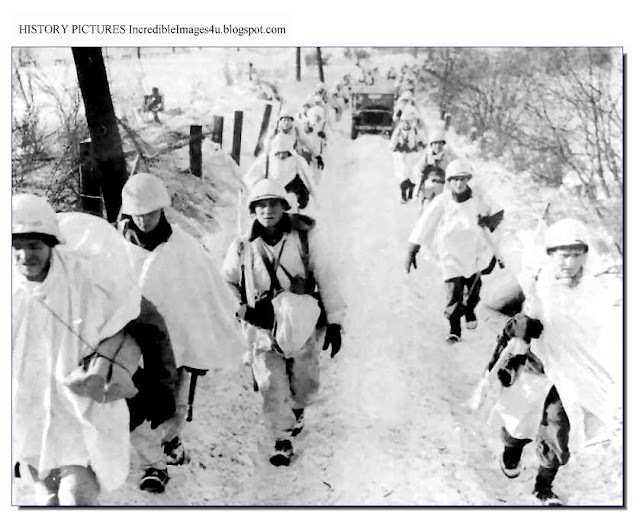 The Germans lost 30,000 dead, 40,000 wounded, and 30,000 were POWs. Hitler lost some of his personal prestige, as it was his plan. The failure of the Ardennes meant that those tanks and soldiers would not be available for the defense of Germany herself. Hitler’s gamble shortened the war by months. 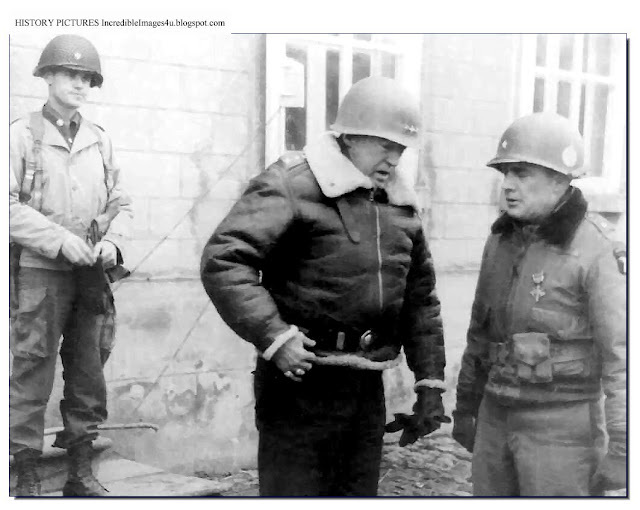 Montgomery had tried to get all the credit for halting the Ardennes Offensive. The American generals were livid. 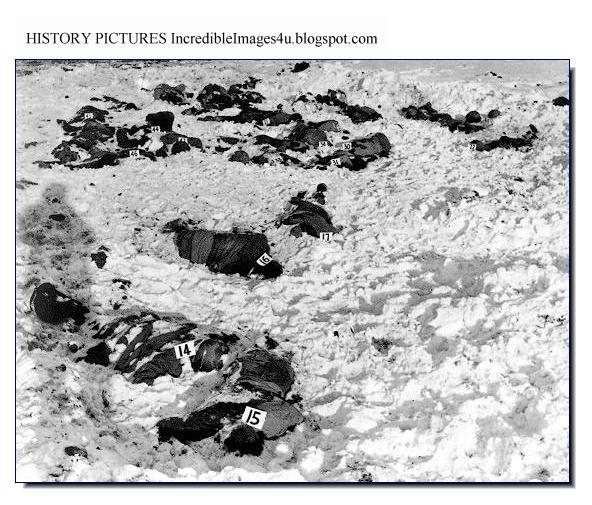 The Malmédy Massacre occurred on December 17th 1944. 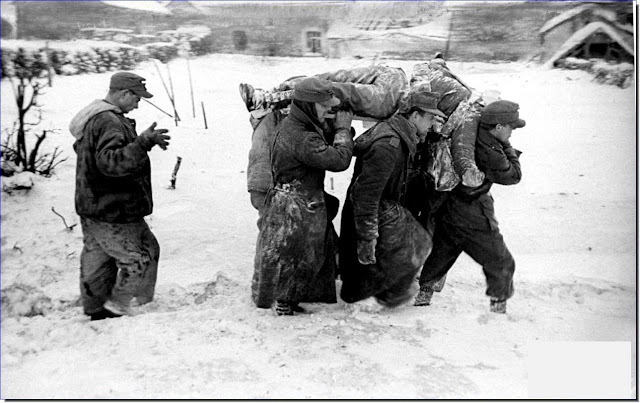 The Malmédy Massacre took place during the Battle of the Bulge and was one of the worst atrocities committed against prisoners of war in the West European sector during World War Two. 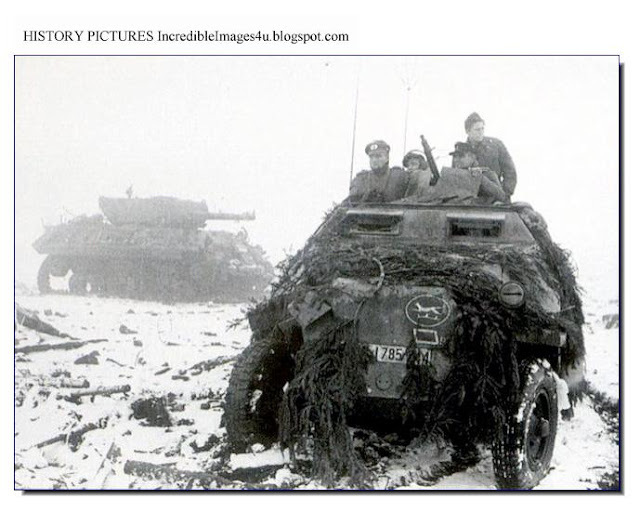 About half-a-mile from the 'Baugnez Crossroads', the first vehicles in the convoy were fired on by two tanks from the 1st SS Panzer Division led by Joachim Peiper. This unit was one of just two units in the whole Nazi military allowed to use Hitler's name in its title - the 1st SS Panzer Division Leibstandarte Adolf Hitler. This unit had a fearsome reputation and Peiper was known as a man who would let nothing stand in his way of success - including the taking of prisoners. In the Russian campaign, Peiper's unit was known as the 'Blowtorch Brigade' for its violence towards civilians. On this day in particular, it is said that Peiper was in a particularly foul mood as his advance had not been as successful or as swift as he had hoped. 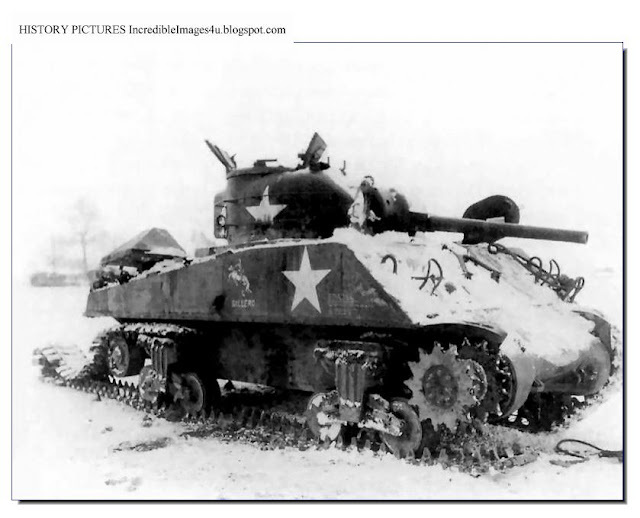 Though the 1st SS Division had suffered few casualties in terms of manpower, it had lost tanks and half-tracks in its advance as the US 99th Infantry Division had put up a far stronger resistance than Peiper had bargained for. The two tanks that fired on B Battery were under the command of SS Lieutenant Werner Sternebeck. He had lost five of his seven tanks in the advance. Peiper, it seems, was furious at yet more delays to his advance. Clearly outgunned by the Germans, the men from B Battery surrendered after Sternebeck's attack. Peiper himself went to the Baugnez Crossroads and brusquely ordered Sternebeck to move on. The 113 American prisoners-of-war who had survived the attack were assembled in a field near the Café Bodarwé at the crossroads - this figure included eight Americans who had already been captured by Peiper. A young Belgium boy witnessed what happened next. 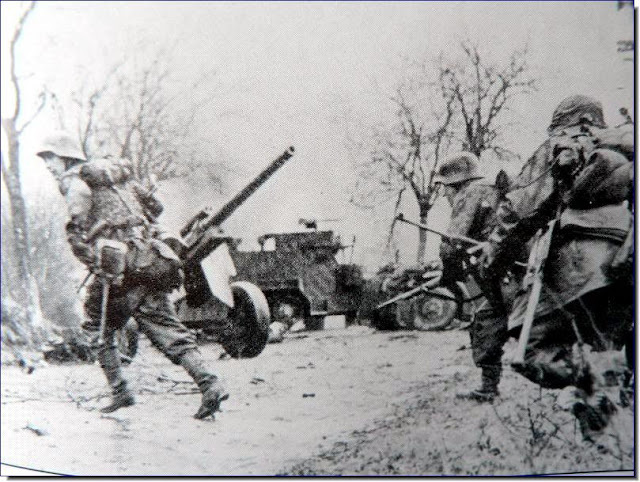 At about 14.15, soldiers from the 1st SS Panzer Division opened fire on the 113 men who were in the field. The firing stopped at about 14.30. 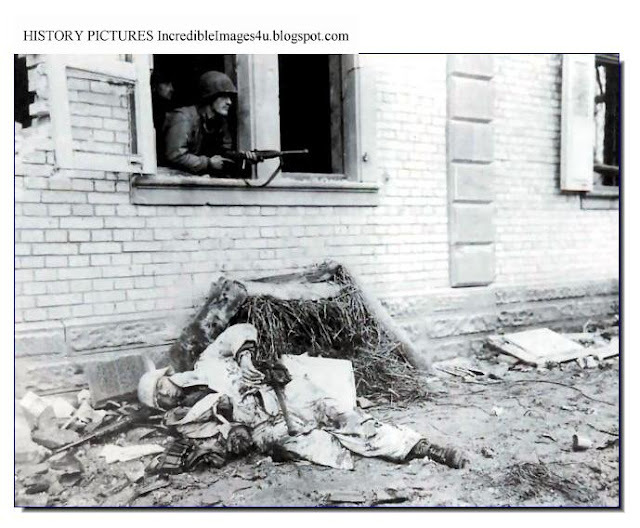 Soldiers from Peiper's unit went around the field and shot at close range anyone who seemed to be alive - or clubbed them to death as later autopsies showed. Incredibly, some prisoners did get away after feigning death. It was three of these escapees that came across Pergrin. The men were deliberately murdered in cold blood. 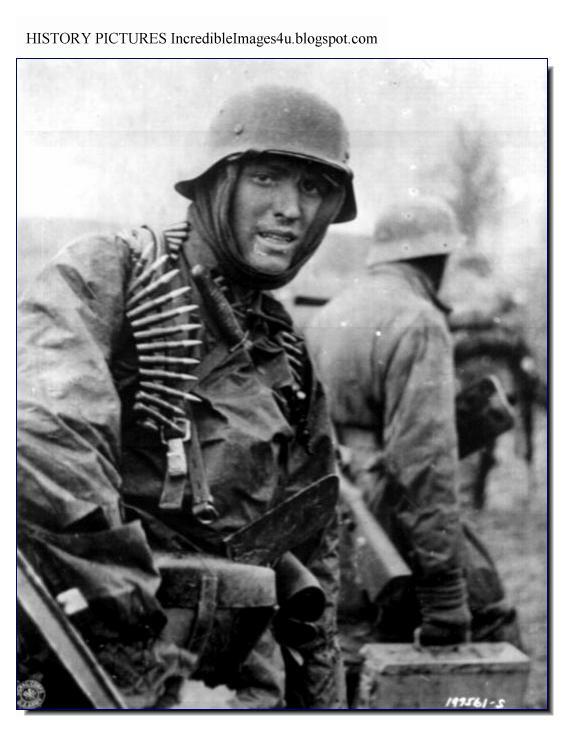 Certainly, the 1st SS Panzer Division had been responsible for atrocities in Russia and they had already shot captured Americans in their advance in the Ardennes Offensive - and more were shot after Malmédy. It is possible that Major Werner Poetschke, who commanded the 1st SS Panzer Battalion, gave the order - but no evidence has proved this, just rumour. Another theory put forward is that some Americans tried to escape and were fired on by the Germans. Other Germans heard the firing, but were not aware that the targets were three Americans as opposed to all of the group. Either trigger-happy or simply battle-hardened, they opened fire on the group as a whole. In October 1945, an American soldier made a sworn testimony that he had escaped with two other men (who were killed) but he had survived and made it back to US lines. The law as it stood then would have allowed the Germans to shoot at escaping prisoners - but not at the whole group. It is possible that their escape precipitated the shooting of the other men.